We are an independent agency. Not bound to any one company, we search only preferred and highly rated insurance companies to provide excellent coverage and competitive prices. And our personal service and attention to your needs is second to none. We provide the right coverage from the right company to meet your specific personal or business needs. We are based in Lexington and Winchester, Kentucky. Our customers are located throughout Central Kentucky. In addition, with our business partners, we help homeowners and local business owners throughout Kentucky and in 37 other states. 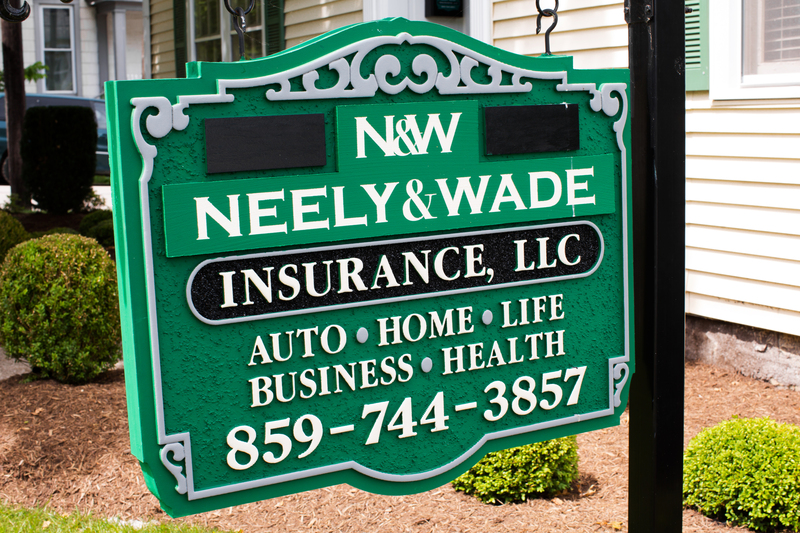 At Neely and Wade Insurance, you can be sure we will explore all the protection necessary for you, your family and your business. We sell insurance, but what we really give you is peace of mind. We get to know you so that we can fully understand your needs. Then we develop a comprehensive, cost-effective insurance package that meets your requirements. In today’s ever-changing business climate, you need an insurance agent who understands your business, reacts quickly, and helps your succeed.